Jonathan Chaplin is the world’s top expert on Herman Dooyeweerd’s social philosophy. He is also a former colleague at the Institute for Christian Studies and a leading social theorist in the reformational tradition. 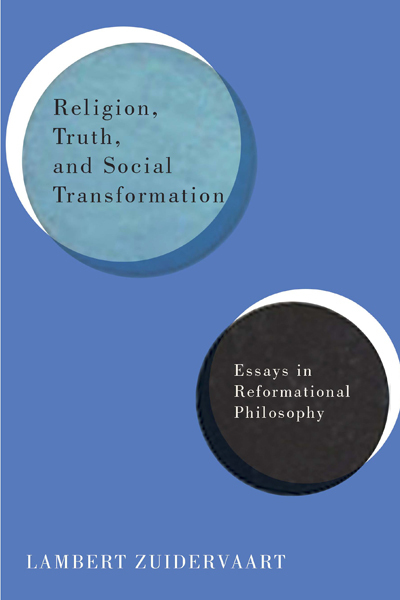 To have him comment on not just one but two of the chapters in Religion, Truth, and Social Transformation is both an honor and a stimulus to further reflection. Consequently I devote this entire post to his astute readings of chapters 12 and 13. Jonathan Chaplin’s commentary on the essay “Religion in Public” (chapter 12) raises two sets of illuminating questions, the first about the relation between religion and the state, and the second about religion and the public sphere. His questions about the religion/state relation have to do with the kind of authority religious spokespersons can legitimately claim when they address the state in public. Chaplin asks how religion’s political utopian dimension should be publicly expressed, and whether such expression would be anything more than a critique of the state’s current operations. For me, this utopian dimension amounts to a future-oriented vision of society as a whole. Certainly it has a direct bearing on religiously motivated critiques of current state operations, but it goes beyond such critiques. The Rev. Dr. Martin Luther King Jr.’s “I Have a Dream” speech in 1963 is a good example. Calling for constitutionally anchored and legislatively secured civil rights for all African Americans, Dr. King envisions a day of freedom, justice, and reconciliation that goes far beyond what can be accomplished by the state, thereby providing a larger rationale and deeper motivation for the civil rights struggle. Clearly, to utter a clarion call in public, as Dr. King did, religious spokespersons need to have firm personal convictions and the strong support of their religious communities. Yet I do not think such prophetic utterances to the state need to claim absolute truth or dogmatic certainty, nor should they. One reason for this, as Chaplin rightly indicates, is that, like all other claims made in public, these are fallible claims made by fallible human beings. At the same time, however, because religious claims finally have to do with what ultimately sustains us, their scope can make them seem absolute in a very specific sense: they seem to relativize every human attempt to provide sustenance, including those tied to the state and its operations. But this scope is, if you will, a negative absolute: a continual reminder that what the state provides is not enough, and it will never be enough. But this scope is, if you will, a negative absolute: a continual reminder that what the state provides is not enough, and it will never be enough. I do not think this dynamic between religion and political institutions is limited to modern religions. One can find it in the Jewish prophetic literature, which chapter 12 mentions, as well as in medieval and Reformation Christianity, as Chaplin points out. Nevertheless, I do think the development of the modern state, especially the modern constitutional democratic state, together with the concomitant pluralization and institutional specification of religion, has given contemporary religions “a new degree” of “critical freedom” toward the state (243). This is a new degree, not a new quality: certain degrees of critical freedom pre-exist modernity. Unfortunately, contemporary religious communities often ignore or squander this new degree of critical freedom, and it readily degenerates into either indifference or abuse. Chaplin also raises several issues about how religion should relate to the public sphere. Perhaps I can capture his concerns in two questions. First, if the state must adhere to a “nonreligious” conception of public justice, what does this imply for both religionists and secularists in the public sphere? I would allow religionists considerable leeway in both informal (e.g., media) and formal (e.g., parliaments) political public spheres, more or less along the lines Chaplin suggests in his example of a Christian Democratic party. Yet his example presupposes a sense of political propriety and constitutional self-restraint that I find sadly lacking, for example, among political parties in the United States. So I am not sure whether one can devise a prescription that suits all constitutional democracies. Similarly, I am wary about the implied juxtaposition between “religious” and “secularist” conceptions of public justice. Secularism is not a religion, in the sense that I define religion. An official invocation of a “secular worldview” would not do an injustice to religious communities unless it specifically tried to ban all religious discourse from the political public sphere. No doubt there are examples of such attempted injustice, but I’m not sure whether they are what Chaplin has in mind. Second, what does it mean to say that the state’s official conception of justice must be “publicly accessible”? As Chaplin notes, there are many rocky waters to navigate if one wants to address this question, and I cannot do that adequately in a post. Let me agree, however, that if one means by public accessibility both intelligibility and recognizability, then the public accessibility of religiously grounded claims is an empirical matter, as Chaplin’s examples show. I also think that, in principle, religious claims need not be publicly unintelligible, and that Paul’s proclamation to the Areopagus does exemplify an effort at democratic communication (at least on the universal respect side; I’m not sure about the egalitarian reciprocity of Paul’s speech). Yet, when it comes to the state’s official conception of justice, we need something more robust. We need accessibility that is not just empirically determinable and not reducible to intelligibility and recognizability. The conception of public justice enshrined in the state’s constitution, for example, should be such that in principle everyone who lives within the state’s jurisdiction can accept it. Such acceptability is not simply an empirical matter. There is a matter of principle here. Contemporary attempts to enshrine religious conceptions of justice in the constitution or in constitutional decisions violate this principle. The wider background to Chaplin’s questions about “Religion in Public” emerges in his commentary on chapter 13 (“Macrostructures and Societal Principles”), which itself fills in the social-philosophical underpinnings to my account of religion in public. Chaplin raises many important questions about my proposed “architectonic critique” of contemporary Western society. Permit me to group them under three headings: the relation between macrostructures and differentiated social spheres, the historical character of societal principles, and the relation between divine calling and human response. In terms of the Kuyperian tradition of social thought, these headings pertain to sphere sovereignty, creational ordinances, and God’s will for human life. Under the first heading, Chaplin asks whether my account of macrostructural systems is overly deterministic and whether I pay too little attention to “highly variable ‘differentiated spheres’” in contemporary society. Also, in a subsequent comment about Chaplin’s post, Bob Sweetman asks whether I regard the macrostructural organization of contemporary society as “normative,” or whether I find the predominance of a proprietary economy and administrative state problematic. Chaplin’s response to Sweetman’s question is exactly right: my concept of macrostructures is “primarily diagnostic and critical,” aimed at identifying “large-scale societal distortions” of what in principle could have been—and could still become—a worthwhile historical achievement, namely, a properly differentiated and integrated society where principles of solidarity, resourcefulness, and justice are honored and interconnected flourishing is promoted. I have tried to uncover structural distortions internal to each macrostructure and in their relations to each other. I have also argued that each macrostructure is normatively deficient, and that to address the normative deficiencies of one we need to address those of the others. What is required, then, is a large-scale change in society as a whole, a process I call “differential transformation.” So, no, I do not think the predominance of the proprietary economy and administrative state in contemporary Western society is normative. Yet I do consider it unavoidable, given the way history has unfolded. I also recognize that with such predominance come many developments that are worth maintaining, strengthening, or redirecting. Differential transformation is not the same as either resignation or revolt. Differential transformation is not the same as either resignation or revolt. It is difficult to describe the predominance of economic and political systems without sounding like a determinist of some sort. For these systems are indeed massive, self-reinforcing, and tight-knit. Yet it would make no sense to subject them to internal normative critique, as I do, if one did not think they can be normatively redirected by human beings who act in concert via protest movements, enlightened government regulations, and new ways of doing business, for example. Also, there would be little point in seeking out hidden potentials for normative redirection inside these systems (e.g., elements of a social economy and a social polity) if one thinks the proprietary economy and administrative state are completely closed systems. Perhaps the language I have borrowed, via Habermas, from systems theory has a misleadingly deterministic ring to it. In any case, I agree with Chaplin that “democratic mobilizations can indeed effect structural changes.” Yet I would still want to ask about the long-term trajectory of such changes: do they contribute, or can they contribute, for example, to the democratization of state structures, to a heightened pursuit of public justice, and to turning the dominant economy from turbocapitalist exploitation to postcapitalist resourcefulness and solidarity? Not all structural changes are equally effective or appropriate for the differential transformation that I believe we need. This is the context within which I would want to pay more attention to what Chaplin calls “highly variable ‘differentiated spheres.’” Here much work remains to be done, and I have barely begun to scratch the surface. The closest I have come to this work is in trying to think about the differences and interconnections among art, science, and religion as differentiated social domains. I have many unaddressed puzzles about relations between what I call civil society and what Dooyeweerd and Vollenhoven might have called ethical institutions of friendship, marriage, and family. In addition, there are crucial sociological phenomena and categories of gender, race, class, and sexual orientation that barely register in traditional reformational social thought. I also wonder about the impact on all social institutions of an anti-institutional ethos among younger generations, reinforced, it seems, by their immersion in new social media. Any serious attempts to theorize the potential for what I have called “a democratic politics of global transformation” would need to take these variegated and variable societal matters into account. Perhaps, however, my triaxial model, which distinguishes levels of social interaction (i.e., institutions, practices, and interpersonal relations) from both societal macrostructures and societal principles, can help organize such theoretical efforts and keep them honed toward questions of differential transformation. Chaplin’s second group of questions concerns my account of societal principles. He wonders how my challenging the ontological and unhistorical givenness of creational ordinances relates to Dooyeweerd’s account of structural principles. He asks why I question Chaplin’s own concept of “the created structure of human personhood.” And he suggests that perhaps, despite my own claims to the contrary, my insisting on the historical character of societal principles makes their content arbitrary after all. Chaplin is right to call attention to these issues: my replacing creational ordinances with societal principles, and my treating societal principles as both historical and eschatological, marks a significant departure from the first generation of reformational social philosophy. Just how dramatic is this departure? Although, in addition to chapter 13, chapter 14 (Carr) and the Epilogue (Baghai, Blomberg) try to indicate what the departure comes to, let me give this another try. Second, whereas Dooyeweerd’s philosophical anthropology is strongly anti-evolutionary, my own is not. I really do think that humankind evolved from nonhuman and prehuman forms of life, and that, increasingly, in the process of hominization, the creatures undergoing this process began to shape their own forms of social and cultural existence. We can say, as Chaplin suggests, that it has become characteristic of the creatures who became human that they “have the capacity of formative human agency.” Yet I would add that they were themselves involved in the formation of that capacity. The concept of a “created structure of human personhood” seems to downplay or ignore this process of self-formation. If there is such a structure, it is one the creatures who became human created—or co-created—in the very process of becoming human. Further, the development of personhood is a later stage in this process. As I suggest in chapter 13, it involves the development of legal frameworks within which people can be recognized as persons as well as ethical frameworks within which they can have and can exercise responsibility for their actions. Obviously my approach raises unsettling questions about what humanness and personhood might mean in the future, as Chaplin indicates. Yet I don’t think we can give adequate answers to such questions by simply postulating a created structure of human personhood. Similarly unsettling questions arise because of my insistence on the historical character of societal principles. Chaplin asks, for example, how what solidarity means and requires today could have been unintelligible in a premodern world and why we do not know now what solidarity will mean and require in a hundred years. These are good questions, and I should clarify. I think solidarity has become a prominent societal principle in the modern world, in conjunction with the development of a market economy, more democratic forms of government, and the emergence of a more fully fledged civil society. There are obvious precursors to this principle in the premodern world, and one can trace its emergence to prominence out of that world. Yet I think premoderns would have had a hard time understanding the dramatically pluralistic tone and global reach that solidarity has now, and they would not have given it the prominence it has acquired. In that sense, what solidarity means and requires today would have been “unavailable and incomprehensible in a premodern world” (261). So too, given current trends in economic globalization, environmental change, and (forced) immigration, I think we are just beginning to understand what societal principles such as solidarity, resourcefulness, and justice might mean and require in a hundred years. Can we really foresee what the world will be like then, and what it will mean then to show mutual recognition, to steward the earth’s resources, and to pursue public justice? By “mean” in this context I do not intend a simple verbal definition but rather the socially textured implications of such principles for social life. We of course have some idea of what these principles will mean in one hundred years, but there is much we do not know, and much we are not in a sociohistorical position to know. Accordingly, although there is continuity between contemporary societal principles and their historical precursors and future meaning, this continuity unfolds historically: it involves change just as much as it involves continuity. This might be deeply unsatisfying for philosophers who wish to give real definitions, specifying necessary and sufficient conditions for what counts as, say, justice. Nonetheless, I believe it is the very character of historically mediated societal principles that they resist real definitions. That brings me to the third group of questions, which concern the relation between divine call and human response. I have posited, with respect to justice, that God calls us to justice and gifts us with justice. Human beings respond to this gift and call as they work out what it means to flourish in a social context, and their responses become constitutive of what justice means and requires. Chaplin asks what content human beings respond to, and he suggests that it cannot simply be whatever content they pour in. I agree: it cannot be simply that. But it also cannot be devoid of what human beings contribute. My point is that the content of societal principles such as justice and solidarity, which are societal and historical outworkings of God’s call to love, emerges in the ongoing dialogue between God and humankind. God intends for human beings and all creation to flourish, and God calls us to live in this way. But God also responds to the responses we make to God’s call, sometimes sounding the call in a new way, in a new incarnation. And human beings, in responding, also re-issue God’s call, which re-sounds in their response. Their first posture may be one of “respondents,” as Chaplin says, but that is not their only posture. My point is that the content of societal principles such as justice and solidarity, which are societal and historical outworkings of God’s call to love, emerges in the ongoing dialogue between God and humankind. On this approach, human beings are responsible not only for how they respond to God’s call but also for how that call re-sounds in their responses, responsible not only for their fidelity to societal principles but also, to a significant extent, for the content of the societal principles they try to honor. The upshot, I think, is not an arbitrariness of content but the urgency of a faithful response. That is why, as Chaplin notes, I characterize the pursuit of society-wide transformation in terms of “faithful disclosure.” For, in the end, this pursuit is caught up in more or less faithful responses to a call to love that comes from God’s own future, carrying, as it does, the promise of a new Earth. Obviously this rough and ready formulation would require many qualifications and refinements—what about infants and children, what about immigrants and illegal aliens, etc.—but perhaps it will do as a first approximation. Perhaps I am closer to Habermas here than Chaplin considers warranted. In any case, recent battles over Supreme Court decisions and appointments in the United States clearly affect my perspective. Lambert Zuidervaart, Social Philosophy after Adorno (Cambridge: Cambridge University Press, 2007), 175-81. See Hauke Brunkhorst, Solidarity: From Civic Friendship to a Global Legal Community, trans. Jeffrey Flynn (Cambridge, MA: MIT Press, 2005). Lambert Zuidervaart is Professor of Philosophy at the Institute for Christian Studies in Toronto and Professor of Philosophy, status only, at the University of Toronto. 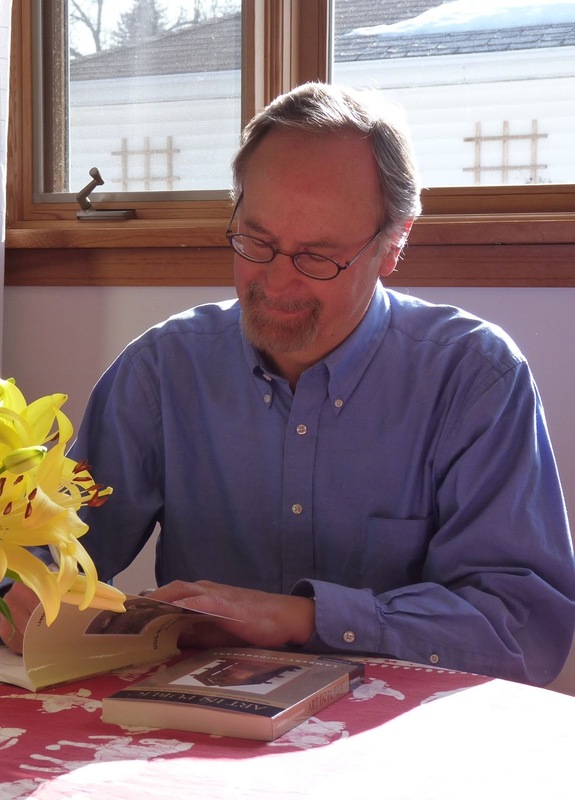 He and his wife Joyce Recker live in Grand Rapids, Michigan, where he is a Visiting Scholar in the Department of Philosophy at Calvin College. Recognized as a leading Adorno scholar, and widely published in aesthetics and social philosophy, he is currently developing a comprehensive and transformative conception of truth. His other interests include singing, hiking, and hanging out with friends and his Golden Retriever Hannah Estelle. In 2010 he published the literary memoir Dog-Kissed Tears: Songs of Friendship, Loss, and Healing (Wipf and Stock, Resource Publications). More information about his scholarship and teaching is at his faculty web page.